Here we have investigated the factor affecting the occurrence of European wild rabbit in fragmented environments in a mountainous area of northwestern Spain (Gerês-Xurés Biosphere Reserve). The study has been led by Luis Tapia and conducted in collaboration with Jesús Domínguez and Maria Vidal from University of Santiago de Compostela. Field survey was carried out by sampling the presence/absence of pellets in 237 plots (100 x 100 m) selected at random below an altitude of 800 m. For modeling purposes, we considered eight predictors related to vegetation, topography, human influence and heterogeneity. All predictors were obtained from Landsat-derived maps by using a Neuronal Artificial Neural Networks algorithm, and a Global Digital Elevation Model (GDEM). 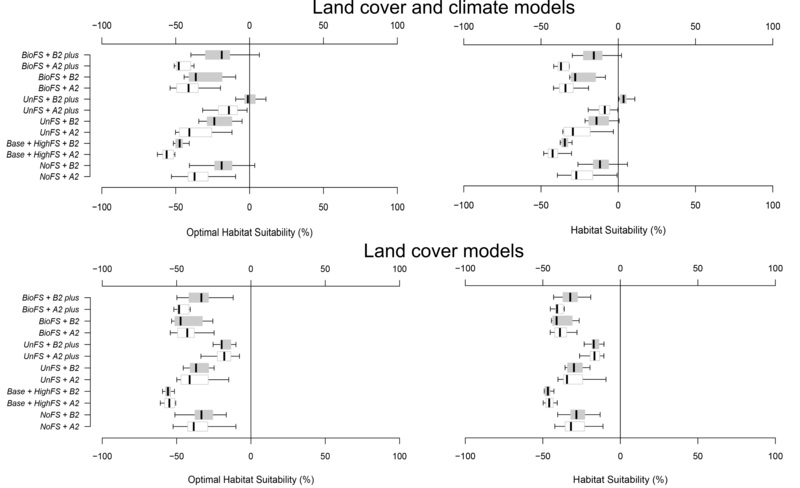 Generalized linear model were used to describe the occurrence of the European wild rabbit. The information on habitat requirements of European wild rabbit in the area provides a good framework for determining the habitat requirements of this keystone species in mountainous ecosystems in northwestern Iberian Peninsula and confirms that digital data-based models can solve many of the problems associated with field data in wildlife modelling. TAPIA, L; DOMÍNGUEZ, J.; REGOS, A. and VIDAL, M. (2014). 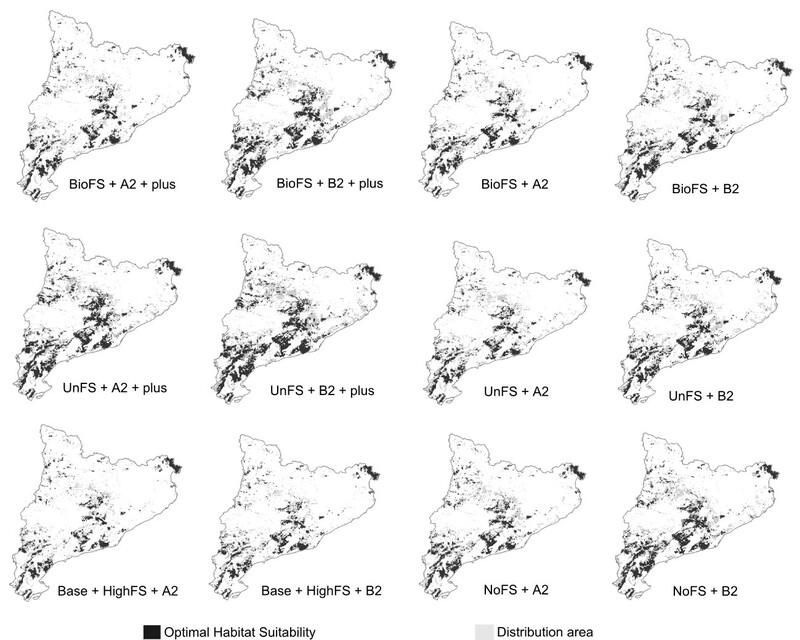 Using remote sensing data to model European wild rabbit (Oryctolagus cuniculus) occurrence in a highly fragmented landscape in northwestern Spain. Acta Theriologica, doi: 10.1007/s13364-013-0169-2. This entry was posted in Publications on 15 April, 2014 by Adrian Regos. USING UNPLANNED FIRES TO HELP SUPPRESSING FUTURE LARGE FIRES IN MEDITERRANEAN FORESTS. In a new article published in PLOS ONE, we assessed changes in fire suppression policies and their impact on fire regimes. Modulating fire suppression efforts in mild weather conditions is an appealing but hotly-debated strategy to use unplanned fires and associated fuel reduction to create opportunities for suppression of large fires in future adverse weather conditions. Using a spatially- explicit fire–succession model developed for Catalonia (Spain), we assessed this opportunistic policy by using two fire suppression strategies that reproduce how firefighters in extreme weather conditions exploit previous fire scars as firefighting opportunities. This entry was posted in Publications on 4 April, 2014 by Adrian Regos.